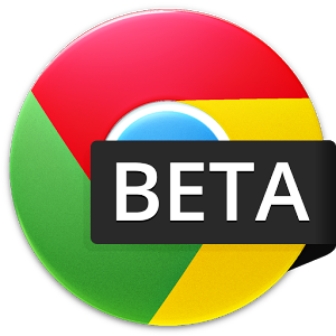 A new beta release of the Chrome browser app for Android is now available for download in the Google Play Store. This new beta version (Chrome 30.0.1599.24) is available for all Android devices. The new Chrome comes with numerous bug fixes as crash and with some new improvements as well. The new release resolves issues with missing space from suggestions in google.com when the query contains a typo. The new Beta version of Chrome for Android also includes bug fixes for Simple Cache heap peaks during index regeneration and has support for input . Users who want to download and test the new Chrome Beta version for their Android devices can find it here using the link below. Please note that this version of Chrome is a beta version and a beta version may contain bugs and other issues such as Blue shadow on edit context menu, disappearing History search textbox on deletion of search term for Galaxy S3 Quitting app, Partial white flashes and background border issues during tap-to-zoom and Flickering on HTC1.